Drifting along the Leyre through a lush gallery forest, or along Arcachon Bay to the pace of the tides, you’ll move through – and be moved by – secret and grandiose settings alike. 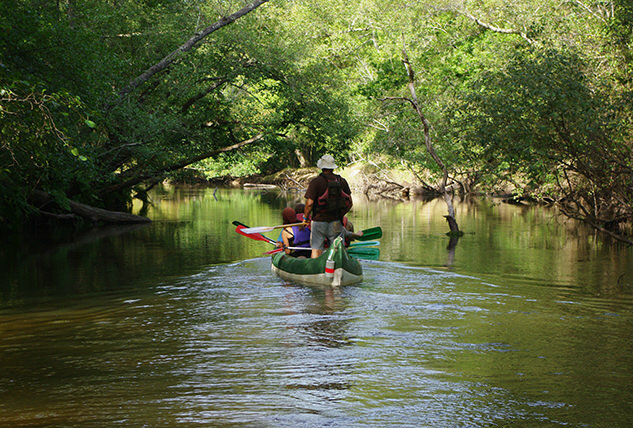 Choose your craft: canoe, sea kayak, flat-bottomed boat, large 10-seater canoe or catamaran. Glide out onto the water to discover a new view of the Heart of the Bay in the company of a captivating local guide. Feeling the need for nature? 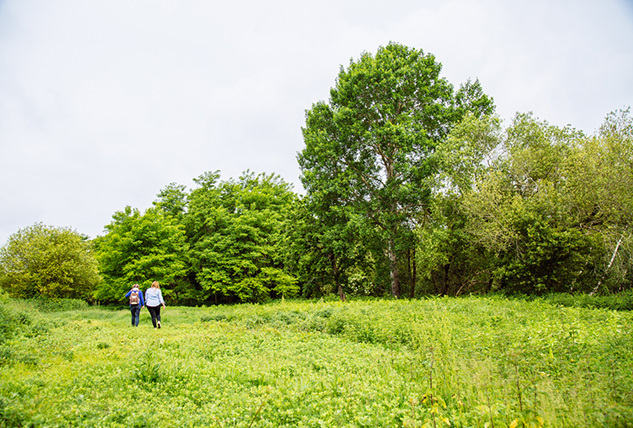 Nature and heritage guides await you to share their knowledge of the fauna and flora of the forests, marshes, rivers and protected natural areas of the Heart of the Bay. Dress wisely according to the weather, and then enjoy observing, listening and experiencing the spectacle offered by these fragile natural environments. Button Get some fresh air! To keep kids occupied and provide them with unforgettable memories, the Heart of the Bay offers a number of fun activities that bring them into contact with the natural world. 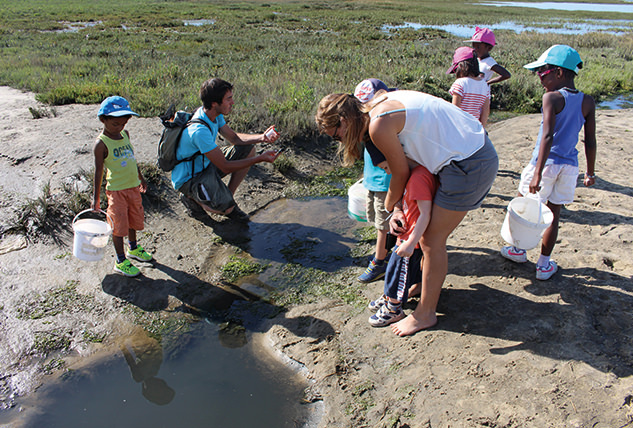 In this rich, diverse environment – accompanied by enthusiastic, qualified monitors –, children become familiar with the shellfish and crustaceans along the beaches and the little creatures of the forest; discover surprising aquatic fauna; develop their artistic sensibilities; and become explorers along the banks of the Leyre. Captivating enthusiasts invite you to discover the patrimony and traditions of the Heart of the Bay. They offer you an opportunity to step back in time, by joining a pine-tapping demonstration (gathering resin from maritime pines) or setting out to discover Taussat-les-Bains and its beautiful early 20th-century villas. They can also reveal to you the exceptional expertise of Moulin de la Cassadotte, where you'll enjoy an exquisite speciality: French caviar.